President Roosevelt signed Executive Order 9066 in 1942 ordering the imprisonment of Americans of Japanese ancestry, and to commemorate the 75th anniversary, the Smithsonian’s National Museum of American History is planning an exhibition in 2017. The three-page document changed the course of history for a segment of Americans and challenged their constitutional rights. 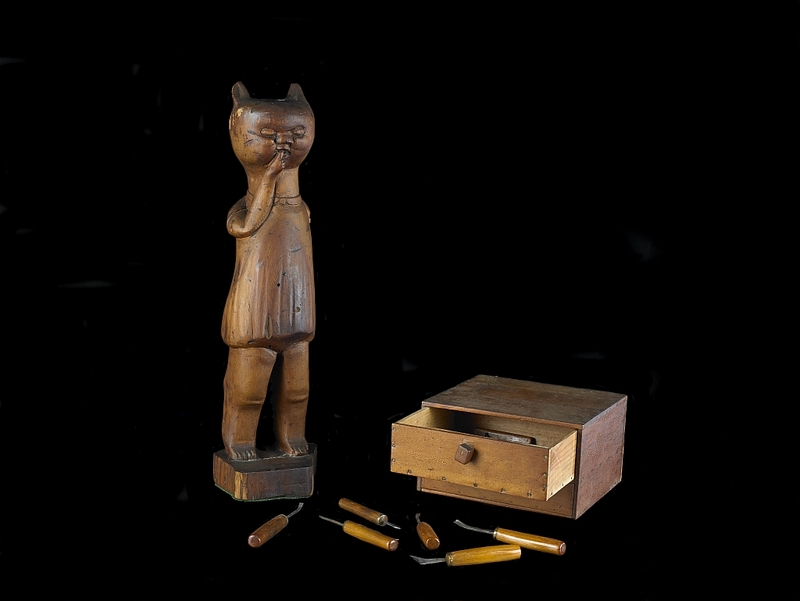 Curators are actively reaching out to the Japanese American community to help identify and collect artifacts to document this history. On Feb. 19, the museum will display a small selection of its existing collection during this year’s Day of Remembrance commemoration. The free public event will feature a screening of David Ono and Jeff MacIntyre’s documentary, The Legacy of Heart Mountain, at 6 p.m. in the Warner Bros. Theater. Following the screening, a panel discussion of scholars and community leaders will be moderated by University of Massachusetts professor Franklin Odo. The panel will include former Department of Transportation Secretary Norman Y. Mineta, featured in the film; Ono, a Los Angeles news anchor; Alice Takemoto, a Nisei, a second-generation Japanese American, imprisoned in the Jerome War Authority Center in Arkansas; Paul Takemoto, author of Nisei Memories: My Parents Talk about the War Years; and Shirley Higuchi, chairperson of the Heart Mountain Wyoming Foundation. The program will close with a live spoken-word performance by 2014 National Poetry Slam Champion, G. Yamazawa. 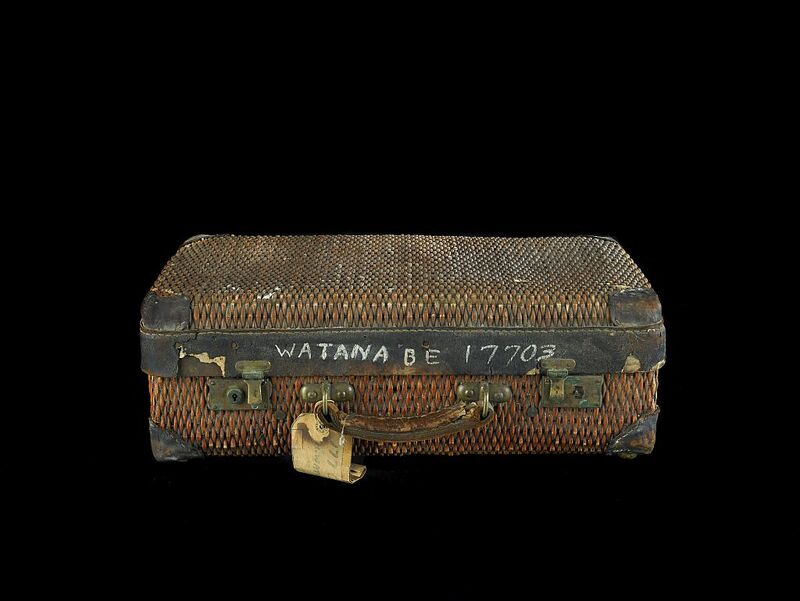 Among the objects on view Feb. 19 will be recent acquisitions made and used in these camps, including a signed softball, which belonged to George Hirahara and was donated by his granddaughter, Patti Hirahara. 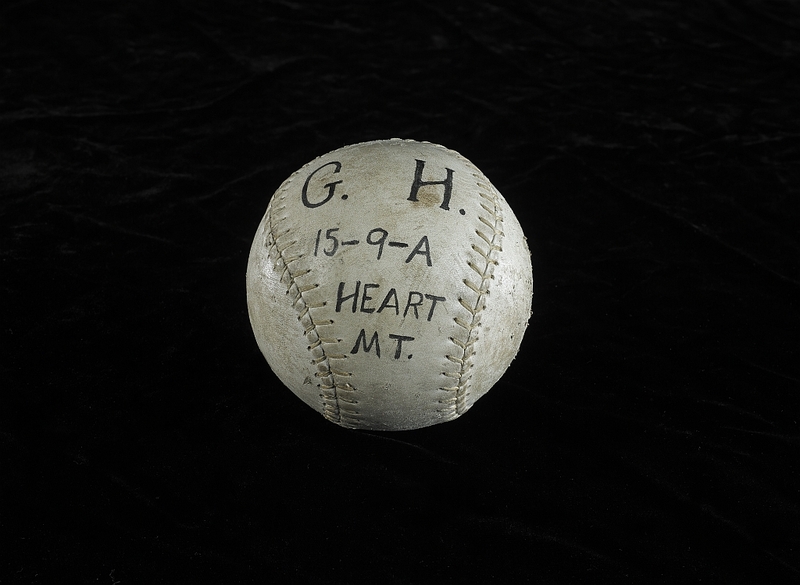 The softball was discovered among other Heart Mountain artifacts, including photos that tell the story of the camp through pictures. On display will also be a baseball uniform worn by Tetsuo Furukawa, who played first baseman as a teenager at the Gila River War Relocation Center, documenting how baseball was an expression of American identity and citizenship. The audience will also be able to see a hand-carved wooden ashtray in the shape of a cat made by actor Sab Shimono’s father and photos and a script by actress Takayo Fischer, who started her acting career as a child at a camp. The Day of Remembrance observes Roosevelt’s signing of Executive Order 9066. During the opening months of World War II, almost 120,000 Japanese Americans, two-thirds of them U.S. citizens, were forced out of their homes and into detention camps established by the U.S. government. Through incomparable collections, rigorous research and dynamic public outreach, the National Museum of American History explores the infinite richness and complexity of American history. The museum helps people understand the past in order to make sense of the present and shape a more humane future. It is currently renovating its west exhibition wing, developing galleries on business, democracy and culture. For more information, visit https://americanhistory.si.edu. The museum is located at 14th Street and Constitution Avenue N.W., and is open daily from 10 a.m. to 5:30 p.m. (closed Dec. 25). Admission is free.